Kicking Third Street Gallery to the Curb? HSU's Third Street Gallery's windows are papered over as exhibits change. 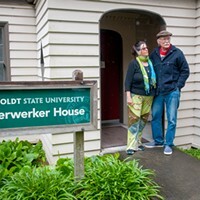 In an email addressed to “Friends” with the subject line "Pawning Off HSU's Crown Jewels" this week, Humboldt State University’s Third Street Gallery Director Jack Bentley announced his planned retirement at the end of July to pursue other interests. He also shared an Oct. 31 university memo outlining 33 potential cost-cutting measures under consideration, including a proposal to shut down the Third Street Gallery. Bentley urged people to write to 23 members of the HSU Resource Planning Committee in support of maintaining the off-campus art venue. HSU’s Third Street Gallery, formerly First Street Gallery until its hop a few blocks away, founded in 1998, was conceived as a training venue for students to learn about running a gallery, while sharing work by local and visiting artists with the community. The gallery, an Arts Alive! anchor with double-feature shows that run a broad aesthetic gamut, doesn’t fall under the auspices of the art department, instead operating as its own department with a separate budget. According to Bentley, some 26,000 visitors a year gaze at the curated exhibitions on its walls, floors and pedestals. Bentley said the review process has been too closed, with only one open forum that he recalled and information about the proposals and discussions "buried" in the university's budget office website. “The intention is to shut the gallery down. It’s a resource grab by elements in the art department,” he said. And while his departure this summer is unrelated, he's saddened “because I worked very hard to make it so the gallery could be reabsorbed into the art department.” Heather Madar, chair of the art department at HSU, was not available for comment. Thus far, Bentley hasn’t heard anything back from university or board. 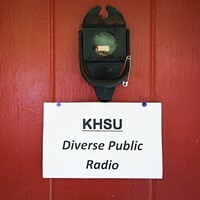 However, over the phone, James Woglom, who teaches art education at HSU and is a member of the planning committee, said emails have been coming in and the committee is “very much open to and desirous of feedback from the community.” The proposal review is, he said, "an iterative public process … it’s something that’s ongoing and it’s not sudden or hidden.” Still, the committee will not have the final say. “We make proposals in the end," Woglom said, as the committee will forward its feedback to University President Lisa Rossbacher. In an email to the Journal, university spokesperson Grant Scott-Goforth wrote that the gallery's lease isn't up until 2021 and that "a plan to close the Third Street Gallery is one recommendation of how to reach this budget reduction — but it’s possible that committee could find other ways to reduce the gallery budget." He also noted there have been several meetings about the proposals "with each of the colleges and other groups, including the University Senate and Staff Council, which are open." And while no more such meetings are scheduled, the committee could do so if it chooses. Scott-Goforth also wrote, "While Jack Bentley wasn’t on that committee, Dean Lisa Bond-Maupin has met with him regularly since those recommendations and encouraged him to engage in the vetting process." Bond-Maupin responded to an email query about Bentley's involvement, saying, "I have shared information on the process within the college for identifying possible approaches to spending reduction, and on the recommendations coming out of our shared governance process. I continue to encourage him to engage in the University vetting process." However, Bentley was not involved in the initial vetting of the proposal and worries not enough stakeholders' voices — those of gallery patrons, artists, students and community members — are being heard. Read Bentley’s full letter, as well as the committee memo below. 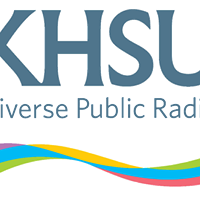 On next July 30th, after 20 years of managing the programs at the HSU Third Street Gallery, formerly the HSU First Street Gallery, I will leave my employment at Humboldt State University. During my time at the gallery, I have been privileged to participate in a multifaceted and creative collaboration with a wide range of community members, students, faculty, university staff and administration, as well as with all of the wonderful student, regional and visiting artists whose work we have been so lucky to exhibit. I’m very grateful to all of these people who worked with us to help establish community and student accessibility to a wide range of art forms and types of expression. Thank you to all of you for helping us to cement the reputation and the professional standing of the gallery! When the gallery was founded in 1998, it was established as a community outreach program with the mission to provide a fine arts venue and an exhibition program, readily accessible to our North Coast community, while simultaneously providing a hands-on site for HSU students to learn and implement museum and gallery practices. The gallery was established as an independent department within the university, with its own budget. Currently, with its location in Eureka and with over 26,000 visitors annually, Third Street Gallery is by far HSU’s most visited, most popular fine arts gallery. In readers’ polls published by the North Coast Journal, HSU Third Street Gallery was selected as the North Coast’s Best Art Gallery in 2011 and 2016. Thanks to the work of our students and to the support of our community and university colleagues, the gallery has garnered a reputation that stretches way beyond our region and draws visitors and artists from far and wide. When I formally notified the university administration of my plan to leave the university, I made a series of recommendations to ensure the gallery’s smooth transition to successor management in order to continue the gallery’s service to students and to the community. Not long after notifying my supervisor of my intention to leave, I learned that a proposal to shut down HSU Third Street Gallery had been submitted to the (HSU) President’s Cabinet and had been subsequently passed along to HSU’s University Resources Planning Committee (URPC) for further study. Couched in the language of budget reductions, the proposal is a thinly disguised resource grab by another university department in which the gallery would be shut down and its budget and assets would be absorbed by other on-campus programs. 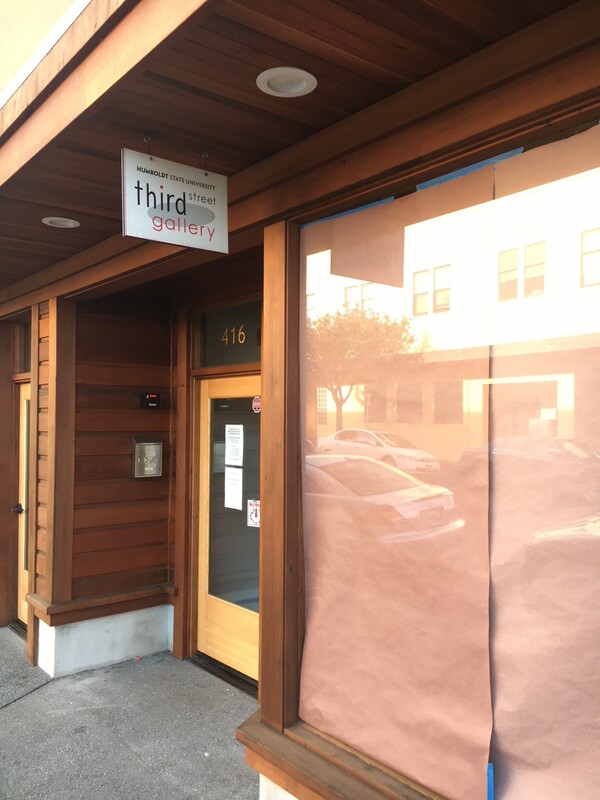 In this proposed scenario Third Street Gallery, in its Eureka location, would be shuttered in 2019, its budget would be slashed by a one-third and the remaining two-thirds of its budget would be directed to on-campus exhibition programs. Effectively turning its back on making exhibitions accessible to the broader North Coast community, the proposal calls for the remaining two thirds of Third Street’s former budget to pay for an ill-defined, untested future program in the university’s two galleries located on campus, the Reese Bullen Gallery and the Goudi’ ni Gallery, both of which have very low accessibility and visitation rates. In other words, the proposal would shut down a successful cultural outreach program on the gamble that they could do a better job on campus. This idea is the opposite of creative—it’s destructive. To date, the committee that is charged with studying this proposal has made no effort to contact me or to consult with stakeholders in the gallery, or with the community, and that is probably by design. The less feedback that they receive, the easier it will be to shut Third Street Gallery down. And this is why I’m writing to you. You are the stakeholders whose voices need to be heard. Shutting down Third Street Gallery is not a forgone conclusion. This is still a proposal. However, its outcome is dependent on the input and opinions shared with the committee and decision makers. You can help keep the gallery open by making your opinion known and taking a stand as a stakeholder in the gallery. A simple short note that addresses your general support of the gallery. The best strategy in this type of letter writing is to copy your email to everybody of concern. That way nobody can deny your contribution to the discussion. Mark Rizzardi, Professor of Mathematics, Co-Chair, URPC and Alex Enyedi, Provost and Vice President for Academic Affairs, Co-Chair, URPC. Please use the long email string of addresses below to assure that all of the parties involved in this issue will be apprised of your sentiments. To my friends and acquaintances, I’m leaving the university voluntarily, because it’s time to make a change in my career and my life. So please focus your comments on the gallery rather than on me. Closing the gallery in 2019 is still in the proposal stage. Your timely comments can determine its future. Please feel free to share this email with anyone who you think could help.